A federal grand jury has indicted a Midvale man on charges that he threatened to kill President Trump during his visit to Utah last month. Travis Luke Dominguez, 33, faces 11 counts in the indictment, including five charges of maliciously conveying false information. 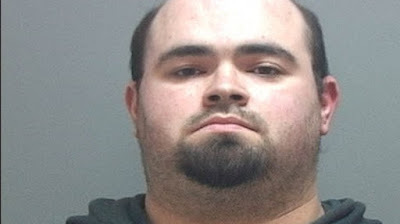 He is accused of using the internet to make threats to kill or maim people at a South Jordan movie theater complex, a bank, and Midvale businesses. Two counts in the indictment charge Dominguez with threatening the life of the president while he was in Utah on Dec. 4. President Trump was in Utah to sign a pair of proclamations shrinking the Bears Ears and Grand Staircase-Escalante national monuments. According to the U.S. Attorney's Office for Utah, Dominguez sent a threat via internet to Unified Police Department threatening to kill the president and officers if they tried to stop him. I woke up and decided going to kill the president Donald Trump today. Please forgive me and then I will die by suicide by cop." He also wrote, according to the indictment: "I'm going to kill the sexist racist homophobic President Trump today. Nothing you can do to save President Trump nor stop me pigs." He is also accused of making other threats on the UPD website tip line, including threats on Sunday to injure people at a movie complex in South Jordan and any police officers who responded to it.